Double slipper tub carved from absolute black marble. A finely polished natural stone tub in a classic design. Add sophistication with a black marble stone tub. The Double slipper bathtub style is trending. 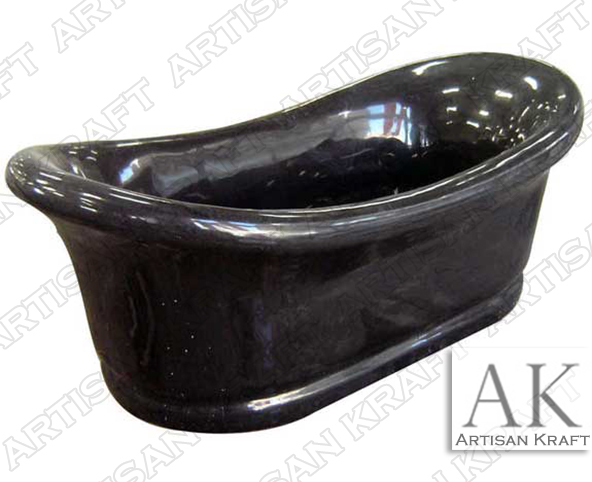 This freestanding black marble bathtub is great in contemporary and traditional spaces. This is a trending bathtub design. We also offer copper tubs.